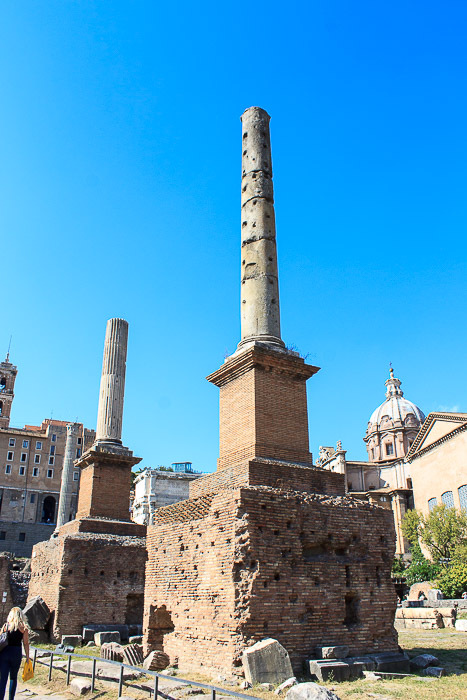 The seven brick column bases, originally clad in marble, lined up on the south side of the Forum Square across the street from the Basilica Julia, supported columns dedicated to illustrious individuals and date to the late empire (from the 3rd century AD onward). 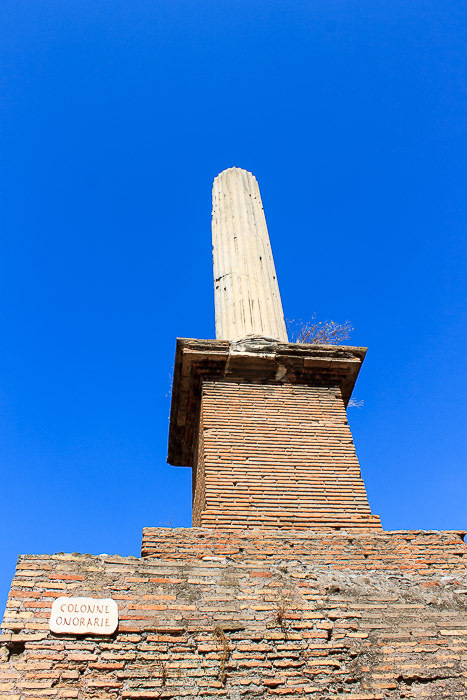 The small brick building past the 7th column (furthest from the Temple of Saturn) is the remains of the Rostra Julia. 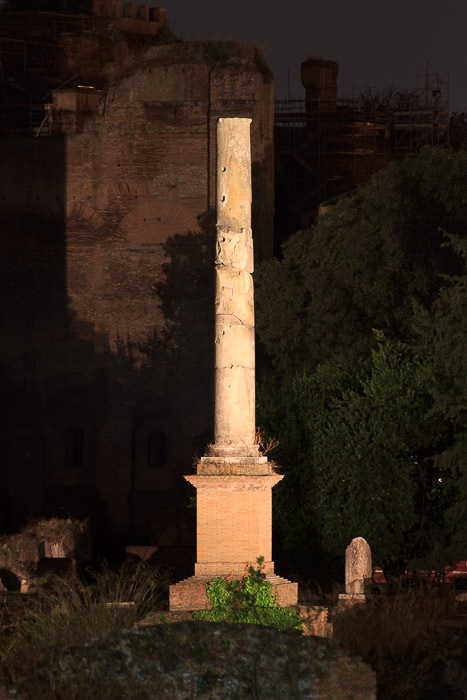 If you entered the forum from the Argiletum (the street between the Curia and the Basilica Aemilia), these seven columns in front of the Basilica Julia would have made an impressive sight. 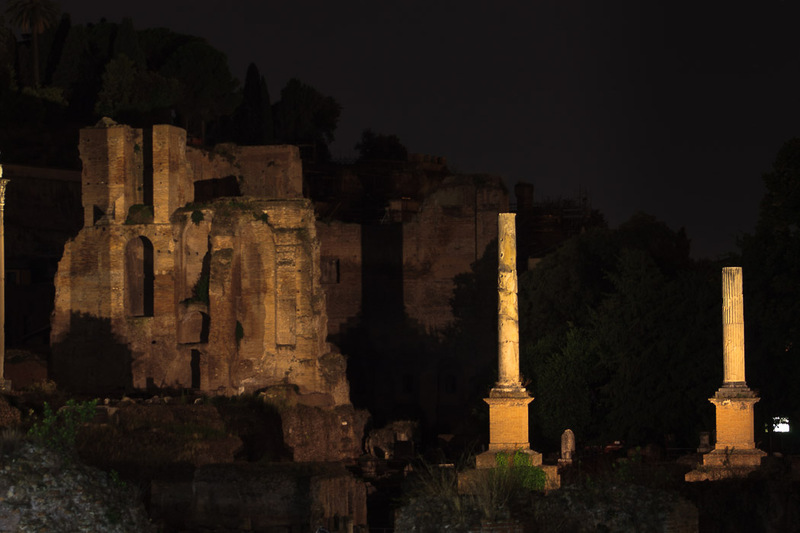 Unfortunately the disappearance of the dedicatory inscriptions and statues on their tops makes it impossible to identify them. The columns and probably also the capitals were recycled from earlier monuments. 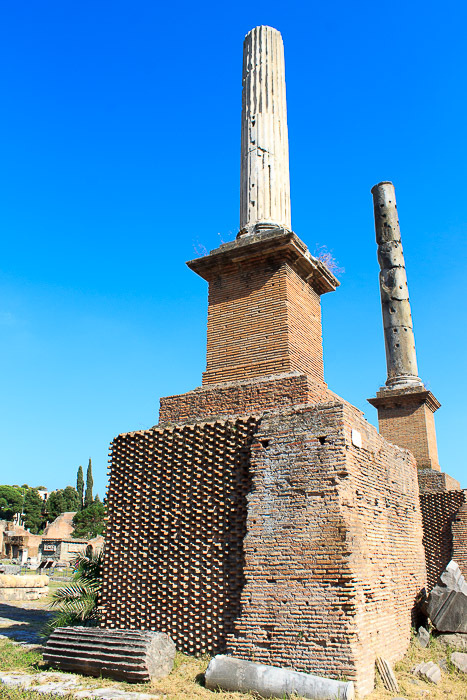 The columns were made of pavonazetto, grey granite and pink granite. 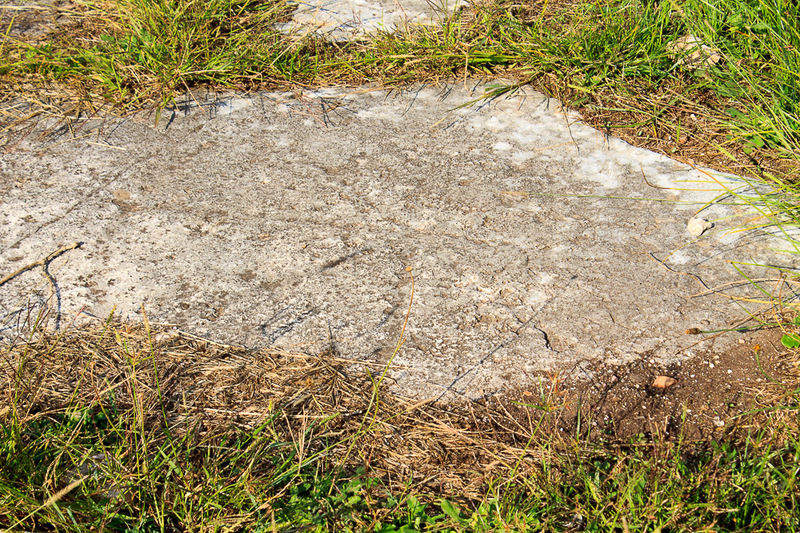 Two of the bases, on the eastern end, were restored in the late 19th century and topped with grey granite and white marble columns recovered in the vicinity. Some of the brick bases surround a smaller base made of interlocking stone blocks from an earlier era, suggesting that a prior set of columns existed. 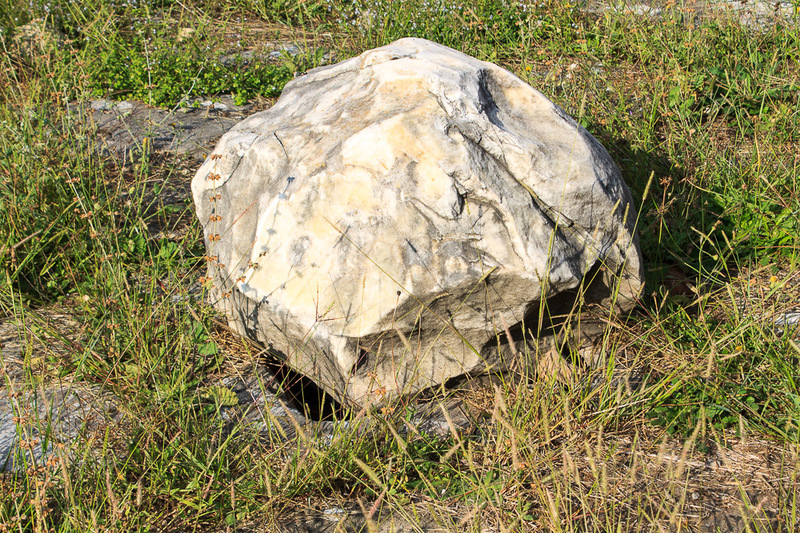 Between the first and second column bases (the ones closest to the Temple of Saturn) you can see a rock (1st photo below) that covers an ancient stone square stone lining an entrance to something beneath the forum. Between the second and third column bases, about 2 meters in from the fence, is a circle game board (2nd photo below) etched onto the forum pavement.